Back in 1994 Mark Noll wrote The Scandal of the Evangelical Mind, mostly claiming it to be rather badly underdeveloped. Well, things have changed quite a bit on that front. There has been quite an intellectual renewal. Professor Berger (like me actually) calls himself evangelisch but not really evangelical, not to mention incurably Lutheran, and he claims to be very comfortable with evangelicals. He comments that there is something of a movement of the evangelical intelligentsia into prestigious universities and such. He considers it somewhat like the influx of Jews in the 1930s. I find that comparison quite interesting. The other day on Geoffrey’s post Local Churches, Dave Smith posted a video in comments from the Free Congress Foundation, documenting the origin of political correctness and locating its origin in the Frankfurt School of the early 1930s. this was part of the exodus mentioned above. It included many liberal (maybe licentious would be a better term) groups and people who suddenly realized they were not welcome in Hitler’s Reich. Weimar Germany had been an incredibly liberal, not to say immoral place, and Hitler was not amused, then or later. Many of these refugees ended up either in the United Kingdom or the United States and by the end of World War II, many had become respected figures in the educational system, as well as the other elites. Max Weber said a while ago that Protestantism. was responsible “for the disenchantment of the world” because of the evident distaste for the three most ancient and powerful aspects of the sacred, Namely the mystery, the miracle, and magic. While there is obviously a fair amount truth in this, it can easily be overdone, especially before the 1950s, I think. One always has to remember that one cannot understand Protestantism unless one views it against the background of the Catholicism from which it sprang, any more than one can understand American history properly without understanding English history during the colonial period. That’ is the origin of them. Catholicism does feature that triad more, as we all know, but so does Pentecostalism. And Pentecostalism is the fastest growing part of Protestantism. And it isn’t even true of most Evangelicals, or even some mainline Protestants, say Anglo-Catholics or Confessional Lutherans. So one has to be very careful with this. The main part of mainline Protestantism’s problem is the loss of the core of the Gospel: the cosmic redefinition of the structure of the universe centered about the birth and life, and death of Jesus. it has come to be some vague (mostly) left-of-center social program, which is a huge distortion. or it has come to be some sort of vague morality, such “as be nice to old ladies if they slip in the gutter”. Nothing really wrong with either, but they are not what Christianity is about. The Evangelicals seem to have not gotten this memo. And what either secular or religious fundamentalism offers people is simply certainty. “We’ll tell you what is true, and if you do what we say, it’ll be all good for you”. While the relativists say, “Don’t worry about what is true and what isn’t, it’s all relative anyway, so it doesn’t matter. They are actually pretty much polar opposites, but nearly the entire world is in the middle. It makes little sense to go with either one, we don’t know everything, but we do have a reasonable idea of right and wrong, and it’s the correct solution. After all, God is indeed Love, He is also Reason. I recently had a conversation with a German Catholic theologian, who was shaking his head when I mentioned to him that the denominational boundaries are breaking down in the United States, that one could grow up Baptist, attend a Mennonite college, become a member of a Nazarene church, marry a Reformed person, and send their kids to an Episcopalian school. That’s hard for theology to deal with isn’t it? and in truth, pretty much all of us here are lay theologians, we study (more or less) we read, we think. In other words, we’re not the average guy in the pews (or not in the pew, for that matter). We can see the similarities and yes the differences between our churches. But I wonder does the average parishioner, for most of us, things change in the liturgy, but they change mostly slowly, how many notice? This may have been where Vatican II messed up, they got in a hurry, if they had taken a few generations to make the changes, as happened in most Protestant churches, would the Catholics have noticed? Other than the change to the vernacular language, of course. And for that matter, no matter how similar the theology, our individual churches have considerably different feel, the average parishioner isn’t likely to confuse them, not matter how much we try to convince them that it’s all the same thing. And that is good, I think. Lots more in the links, and I’m very interested in what you all think. Personally, I think it a fairly viable thesis. This is based on a paper by Robert D. Woodberry of the National University of Singapore. It is available here. What I say here will seem quite abrupt to some. That is a function of reducing about thirty pages to a few blog posts. I have also removed all notes, footnotes, and references, and while I have quoted the author extensively, mostly I have restated his conclusions in my words. He writes about five contexts: Context 1: Western Europe; Context 2: European Settler-based colonies; Context 3 and 4: Eastern Europe; and Context 5: Everywhere else. I have chosen to write about mainly Contexts 1, 2, and some on 5. All are interesting, but I think these more so. He also has divided his theory into historical and statistical parts. While I’ve read through the statistical part of the study several times and closely, and it makes sense to me. I am not all that good with statistics, if anyone else is, I’d be interested in your conclusions. I’ve pretty much limited myself to the historical section of his study, which is more in my field of competence. All quotes are from the paper. You will, of course, find the link to the full paper, including references, footnotes, and far from least, the statistical work that supports this historical narrative. Also, Greg Scandlen at ‘The Federalist’ wrote on this as well, his very superficial (although accurate) overview is here. For example, stable democracy first emerged in Protestant Europe and British-settler colonies, and by World War I every independent, predominantly Protestant country was a stable democracy—with the possible exception of Germany. Less stable versions of democracy developed in Catholic areas with large Protestant and Jansenist minorities, such as France. However, democracy lagged in Catholic and Orthodox parts of Southern and Eastern Europe where Protestants had little influence. A similar pattern existed outside Europe. In European settler based colonies, Protestant based ones (United States, Canada, Australia, and New Zealand) are far more democratic than the otherwise similar, but Catholic based ones such as Argentina, Chile, Uruguay, and Costa Rica. 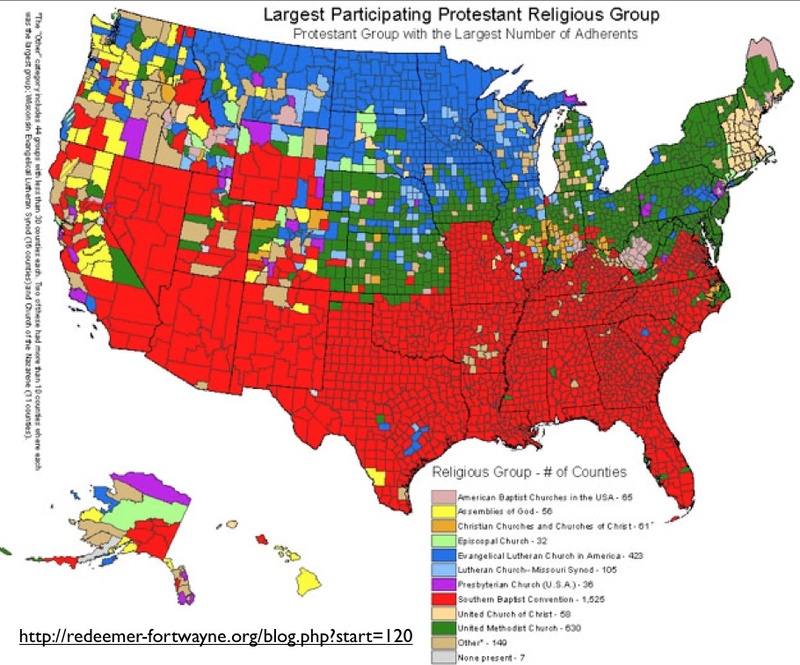 You will note that this also weakens the theory that secularization tends to promote democracy, as the author says, the United States is far more religious than Uruguay. It is also worth noting that one set are all former British colonies and the other all-former Spanish colonies. What that seems to tell us is that, whichever colonial regime we choose (and these were the main two on offer) they seemed to export quite well. I start with Western Europe and North America because that is where representative democracy was first developed. In this, I follow the author, and for the same reason. This is the baseline, if we can’t find links here, they are unlikely. If we can, and then we also find them in the other contexts we make our case stronger, possibly much stronger. I too think the classical origin of democracy may well be overemphasized. Sure, Athenian, Enlightenment, and Deist roots exist, and were known, and important, but much of this is also paralleled by earlier specifically religious terms, especially arguments for political pluralism, electoral reform, and limitations of state power. For example, Calvinists tried to reconstruct states along “godly” lines and limit sinful human institutions. 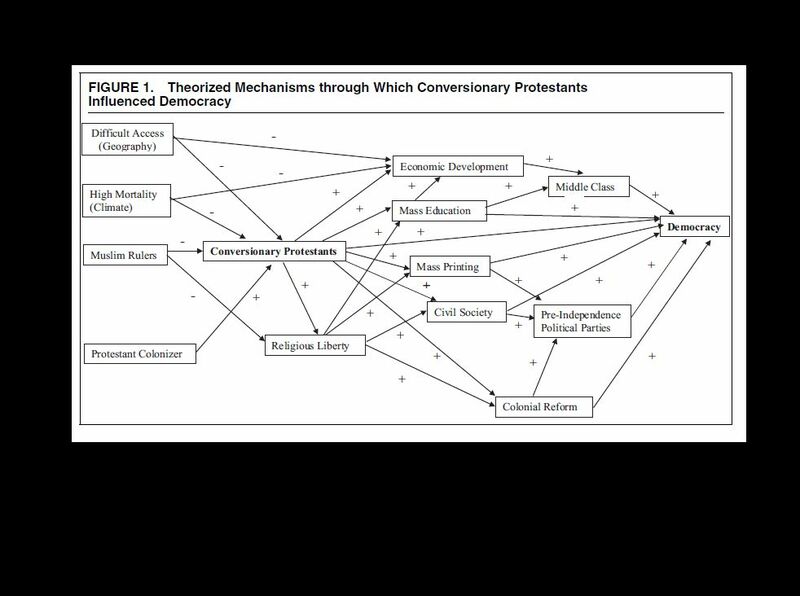 Perhaps as a result, most Enlightenment democratic theorists came from Calvinist families or had a Calvinist education, even if they were either not theologically orthodox or personally religious (e.g., John Locke, Rousseau, Hugo Grotius, Benjamin Franklin, John Adams, Patrick Henry, James Madison, and Alexander Hamilton), and they secularized ideas previously articulated by Calvinist theologians and jurists. For example, Hobbes’ and Locke’s social contracts are secular versions of Puritan and Nonconformist covenants, and Locke’s ideas about the equality of all people are explicitly religious. I would add that the perhaps most famous definition of representational democracy, Abraham Lincoln’s “of the people, by the people, for the people” was not original but an almost direct quote of John Wycliffe. Whose influence echoes down to us through not only his Bible, which strongly influenced Tyndale’s, but he also influenced Martin Luther, Jan Huss, and I think, John Calvin as well. Here is perhaps the first expression of what would be the major strains of the Reformation. For example, even in nineteenth-century Great Britain, expansions of suffrage and reforms of the electoral system were directly tied to pressure by Evangelical Anglicans and Nonconformists—in this case, including nonstate Catholics. Ideas are powerful things, but if those who hold them are crushed and killed, they don’t become the conventional wisdom. So, if power wasn’t dispersed enough, or secular and religious forces came to blows too much, democracy often did not last. In the next sections, we’ll look at how CPs fostered greater separation of church and state, helped to disperse power and, create the conditions which helped form stable democracies. I am a great fan of Chalcedon’s idea of AATW as a kind of lay apostolate but, in truth, in many ways, it always has been. This has always been a place where people, but especially strong willed men have felt free to discuss Christianity. And if you read through our archives, you’ll find that it is different than what you’ll find in church. Catholics, just don’t do Protestantism very well, and though we now have multitudes of clubs and activities for the laymen to get involved, clearly a small number are interested in the least at joining. Those who do try to join everything. They are a small core of folk that develop and are top-heavy in the over 50 crowd. Hard to get the young ones to join anything voluntarily and even more unusual that they are truly enthusiastic. I would add that most of us Protestants don’t do Protestantism very well either, we have all the same problems. Why is that? I think there are several reasons. Someplace I read that Jesus preached to women and children but, he tested men. Men are competitive creatures, we are quite willing to fight for our beliefs, even as Jacob wrestled with God himself. I suspect many of the older guys here relate quite well to that phrase, I surely do. We like to win, or at worst lose honorably. We do it here, forcefully, and yet without rancor. Usually we find that we mostly believe the same thing in different words, anyway. But, something else I’ve noticed about almost all of us is that we are not all that enthused with our church’s physical worship experience. I am certainly amongst them. Frankly, I find little in my worship service that brings me in, other than certain things, like the Eucharist, that are necessary to my faith. But even this, I find in a degraded state, in the last few years. Every Sunday, without even realizing it, we send subtle signals to guys: you are in feminine territory. The signals start in Sunday school. 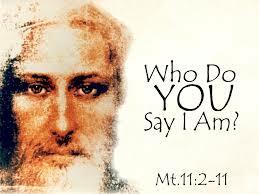 Think of the pictures of Jesus you saw as a child. Didn’t they suggest a tender, sweet man in a shining white dress? As our boys grow up, whom will they choose as a role model: gentle Jesus, meek and mild, or Arnold Schwarzenegger, the action hero? The irony here is that the real Jesus is the ultimate hero, bold and courageous as any man alive, but we’ve turned him into a wimp. There are signals in the sanctuary. Let’s say a common working stiff named Nick visits your church. What’s the first thing Nick sees? Fresh flowers on the altar. Soft, cushiony pews with boxes of Kleenex underneath. Neutral carpet abutting lavender walls, adorned with quilted banners (or worse: Thomas Kinkade paintings). Honestly, how do we expect Nick to connect with God in a space that feels so feminine? Nick looks around at the men. Some are obviously there against their will, dragged by a wife or mother. Others are softies. Research finds that men who are interested in Christianity are less masculine than average; seminarians also exhibit more feminine characteristics than the typical male. Even the vocabulary of churchgoing men is softer. Christian men use terms such as precious, share, and relationship, words you’d never hear on the lips of a typical man. The signals keep coming during the service. Nick may be asked to hold hands with his neighbor. He may be asked to sing a love song to Christ, such as, “Lord, You’re Beautiful,” or “Jesus, I am so in love with You.” Someone may weep. Then Nick will have his male attention span put to the test by a monologue sermon. When this torture test is finally over, Nick is invited to have a personal relationship with Jesus. Let’s spend a moment on that last one: a personal relationship with Jesus. That phrase never appears in the Bible. Yet in the past 50 years it’s become the number one way the evangelical church describes the Christian walk. It’s turned the gospel into a puzzle for men, because most guys don’t think in terms of relationships. Let’s say Lenny approaches Nick and says, “Nick, would you like to have a personal relationship with me?” Yuck! Men don’t talk or think like this, yet we’ve wrapped the gospel in this man-repellent package. I think most of us guys see Jesus more as a guy who we would like to sit down and have a whisky and a cigar (or a beer) with and figure it out. Because, He was a real man, and one heck of a leader, who has many lessons to teach us. Anybody who thinks St. Peter thought about singing “Shine, Jesus, Shine” is simply delusional, although I can see him chiming in on a chorus of “Onward, Christian Soldiers”. Can’t you? Somebody said that church is for ‘little old ladies, of both genders”. But that drives away the forceful men, as well as the young ones. That doesn’t leave much for us does it? I suspect we’ll continue this discussion after the holidays.